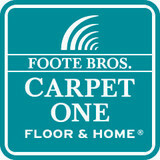 At Foote Bros Carpet One, we are happy to serve you for all of your flooring needs. Whether you are looking to update your home or business, we have all the products you need to make your transformation complete. Browse through our website and find flooring that complements your style. Our products include carpet, laminate, hardwood, vinyl, ceramic tile and area rugs. If you are looking for an area rug, we have one for you. We also offer a variety of products within our flooring categories. We have parquet, glass tiles, stone, travertine, porcelain, cork, bamboo as well as other products specific to your needs. So feel free to browse through our website to find your flooring style or come into our store and put your hands on whatever flooring suits your needs. With our experienced sales staff and skilled installers, we can turn your flooring project into a successful transformation. We are waiting for you, so come visit our store today! Whether you are looking for new carpet, tile, stone, vinyl, laminate or hardwood floors, our expert staff is ready to help you every step of the way. 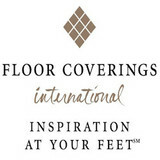 From design, to consultation on products and budget, through to installation, let the professionals at Floor Coverings International help you beautify your home swiftly and within your budget. If you're ready to get the floors of your dreams, we're ready to help you reach that goal. Welcome to Brian's Flooring & Design of Birmingham, AL serving all of Jefferson and Shelby County and other surrounding areas! We know that selecting the right flooring for your home can be overwhelming. We make choosing the right items for your home…simple. At Brian's Flooring & Design, you will discover one of the largest floor covering showrooms in the area. Come in and see our wide selection of carpet, hardwood, laminate, vinyl and tile. Let our expert staff guide you every step of the way and our professional installation team will pamper your home from start to finish. Flooring retailer, residential & commercial: in business in the Birmingham since 1996! We have 3 locations to serve you - McCalla exit 1 off I-459, 4500 Valleydale Rd. near the Caldwell Mill Rd intersection. Our newest and largest 3rd showroom location is NOW OPEN in the lakeview district! The #lakeview store is located @ 2928 6th Avenue South, Birmingham, AL 35233. At Ted's Abbey Carpet & Floor of Anniston, you, the customer, are our number one priority. You deserve an enjoyable shopping experience and our knowledgeable Sales Advisors are here to give you just that. For 40 years, Don’s Carpet One Floor & Home has been serving the Birmingham Metropolitan and surrounding areas in Trussville and Vestavia Hills. We are a customer focused company that is committed to bringing you the highest quality flooring and installation available in the market place. Being a member of the Carpet One network-a group of 1000 independently-owned stores, we use our collective buying power to bring you the best prices. All our products are accompanied by free warranties for the quality and durability of the product. We do offer the Beautiful Guarantee on many of our products. If you don’t love the way your new floor looks we will replace it FREE. Over ten years experience enhancing homes for their owners, guiding them through the daunting task of choosing the right flooring for their home. Whether the homeowner is fixing a house to sale, fixing up their "forever home", or replacing flooring due to water damage, I can help. 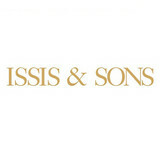 Eighteenth Street Orientals is a family-owned rug store that has been providing quality customer service for nearly three decades. Buyers can choose from our extensive inventory of oriental rugs from artisans around the globe, sourced from countries such as Turkey, Morocco, India, Pakistan, and Tibet. Our extensive collection of hand-knotted rugs is one of the most unique in the Southeast. Each of our rugs is personally hand selected to ensure the highest quality of both design and construction. Whether you are looking for a traditional rug, antique rug, or a sophisticated modern design, it can be found at Eighteenth Street Orientals. We provide complimentary delivery and in-home consultations to assist you in choosing the right rug to complement your interiors and your lifestyle. Unique collection of antique Orientals hand selected just for you. INSPIRED BY TRADITION Locally-owned and operated in downtown Homewood, Alabama, Hiltz Lauber was founded in 1991 by Joseph Lauber. Through more than two decades of superior customer service and a relentless pursuit of quality, he has expanded the business to include a furniture showroom as well as a warehouse location near Forest Park in Birmingham, Alabama. Our enthusiasm for great service and high quality products have been the cornerstone of our success. EMPOWERED BY EXPERIENCE We believe in timeless style and quality. We offer flooring and furnishings of exceptional quality - from traditional to transitional to modern. With many styles to meet any of your design needs, Hiltz-Lauber has become the premier source for premium home and hospitality brands including Schumacher Carpets and Baker Furniture. We believe in the product lines we sell, and we maintain close ties with our vendors, local and multinational, to further ensure that you will be satisfied with your purchases for years to come. COMMITTED TO POSTERITY By developing relationships with environmentally responsible vendors and manufacturers, we are able to offer high quality products made with sustainable practices and renewable resources. Here at Carpet Outlet, we offer more than just carpet. We have many types of hardwoods, laminates, vinyls, tiles and rugs to go on your floor. So don't let the name fool you. We also carry wallpaper and paint along with blinds and shutters. And let's not forget the Arthur Court items that we sell. Now, when it comes time to install your flooring, we WILL NOT contract out the work. We have all in-house installers that will do the job right the first time and with many years of experience. 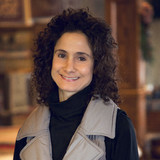 HILL'S CARPET & FLOOR COVERING is a locally owned business established in 1986. We provide sales and installation of quality floor covering products throughout the greater Birmingham area, including Jefferson county, Shelby county, and parts of Tuscaloosa county. We offer virtually all categories of residential and commercial flooring. 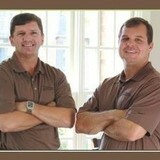 Our sales staff has over 120 years of combined experience! You are welcome to drop in, call and make an appointment, or contact us through our Shop@Home link. Carpet dealers in Trussville, AL help homeowners choose the correct carpet covering for their floors, and also assist with carpet maintenance. This includes determining factors like material, carpet pile, durability, color and size, as well as helping with any custom carpet design. After completing the initial installation (which includes removal of the old flooring, if applicable, and surface prep), they may also handle follow-up maintenance requests such as carpet cleaning, carpet repair and carpet stretching. Find a carpet dealer on Houzz. Narrow your search in the Professionals section of the website to carpet dealers in Trussville, AL, and read reviews and ratings for pros in your area.